Given that 90 percent of Russian society is “apolitical,” Moscow commentator Boris Kagarlitsky says, “it is impossible” to say how much support Vladimir Putin or anyone else has. Indeed, asking that question under Russian conditions now is completely inappropriate. This comment from the director of the Institute of Globalization and Social Movements came in response to a question posed by Kazan’s Business Gazeta to a number of Russian and Tatar analysts as to how much support Putin really has in Russia and in Tatarstan (business-gazeta.ru/article/370091). Maksim Kalashnikov, a Moscow commentator, says that post-Soviet people “vote for whoever is ruling” and they are especially likely to do so if their rulers as Putin have done create the impression that there are no alternatives. The incumbent president will get “more than half” of the votes without any effort. Boosting his figures to 70 percent will require playing games. Aleksey Mukhin, the head of the Moscow Center for Political Technology, says Putin’s support is “on the order of 80 percent” but that the authorities won’t be able to carry out the elections with scandals of one kind or another. The opposition “and other forces” have the capacity to ensure that things won’t go smoothly. Iskander Yasaveyev of the Higher School of Economics says that since Aleksey Navalny has not been allowed to be a candidate, the vote has no drama and participation will be much lower than many expect. 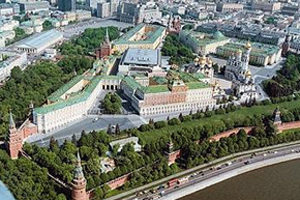 As a result, the Kremlin will do whatever it has to in order to ensure that participation “on paper” is what it wants. Fedor Krasheninnikov , a Yekaterinburg political analyst, says that apathy among Russians is “very great” and that makes the likelihood of Putin getting “a firm 55 to 60 percent” of those who will vote somewhat impressive. Rafik Mukhametshin, the rector of the Bulgar Islamic Academy, says that the people of Tatarstan will support Putin at roughly the same level as voters in the country as a whole, 70 to 80 percent. Fauziya Bayramova, a Tatar nationalist, says that Putin has all the administrative resources he could want but “the dissatisfaction of the people is very great.” He’s been in power for a long time without serious progress at home and with policies that have made Russia an outcast in the world at large. Renat Ibragimov, a Tatar singer, says that Putin could easily boost his support to “more than 70 percent” if he were to come out in support of changes in the law such as the introduction of progressive taxation. Marat Bikmullin, head of Kazan’s Information Systems group, says that Putin has more than 50 percent support but that most of it comes from those with low levels of education, low incomes, and a propensity to watch Moscow television all the time. Ildar Bayazitov, head of the Yardem Foundation, says that despite what has happened in the last year, “the support for Putin in Tatarstan will be higher than in Russia as a whole,” possibly about 80 percent in the republic and only just over 60 percent in Russia as a whole. “The national republics always give [incumbents] more support. Rafik Abdrakhmanov, co-owner of the Tugan Avylym company, says that in his view, “the rating of Vladimir Putin has fallen” because of what the Kremlin leader has done to Kazan. He suggests Putin will get about 60 percent of the vote and that the elections will be marred by falsifications and protests.